Even if Melbourne has a great public transport system, having a car will allow you to visit Melbourne and Victoria at your own pace. Car rental is available everywhere in Melbourne. You can rent a small car to explore the city and the outskirts on your own terms and schedule, or a big car to head for the regional Victoria, or a campervan if you are planning a longer trip. Here are some important tips for your car rental in Melbourne. The first question you need to ask yourself is: Do you really need a car? The public transport in Melbourne is fantastic. There is even a free tram in the city. The Skybus is a great bus system to go to the airport. Here are more information about the options to get around Melbourne without the stress. The parking in the CBD could be very expensive during the week and day time. 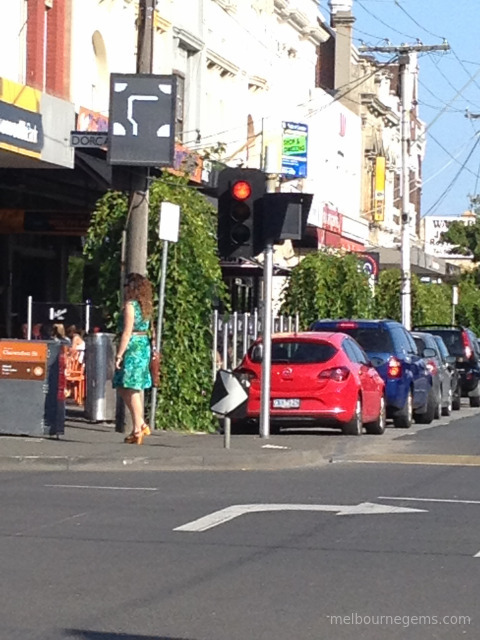 I think it is better to park your car in the city fringes and catch a tram to go into the city. You may be able to find some free parking spot in the CBD during night time or on Sunday. Most of the parking will do a flat rate for the evenings and the weekends as well. In short, if you only want to travel inside the Melbourne city centre you might not need a car. A car becomes a very valid option if you want to explore the outer suburbs and the regional Victoria. What do You Need to Know Before Renting A Car? Connects Tullamarine Freeway to Monash Freeway passing West Gate and Calder Freeways. Cost: Casual users pay a flat rate for the Day, Weekend or Tulla Passes. (for a more convenient way, use City Link Calculator). From Eastern Freeway on the North-end and Frankston Freeway on the south; passing Springvale Road,Ringwood Bypass, Burwood Highway, Monash Freeway and Dandenong Bypass. If you have a Hertz, Avis, Budget, Europcar or Thrifty rental vehicle, a toll payment program is offered by these rental companies. Do not panic if you went on a toll road, you can always go to the website and pay within the next few days. But do not forget to pay on time! This is a speciality of Melbourne and you'll find a lot of Hook Turns in the CBD and some inner suburbs. 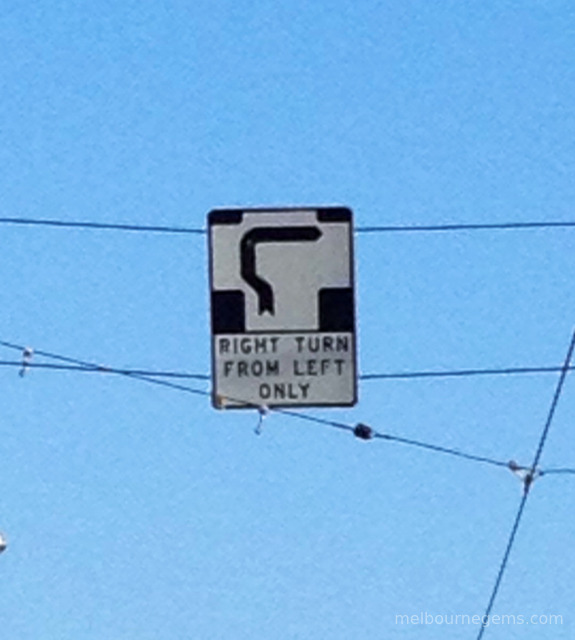 So if you plan driving in Melbourne, watch out for the "hook turn" signs — and be prepared to turn right from the leftmost lane. When you need to turn right and you see the hook turn sign, move as quickly as you can to the leftmost lane. On the green light, move forward on this lane to a point where you can turn right into the correct lane on the road you wish to enter. At this point, you are blocking traffic from the left. But that's all right because they are stopped on the red light. You will usually have a "WAIT" sign. When this red light turns green and the "WAIT" sign is off, turn right quickly into the street you want to go. Be wary of the cars or trams that may still be crossing the intersection. I am sure you already know, you drive on the left side of the road in Australia, and the wheel is on the right side of the car. In the CDB and inner suburbs, you will have to share the road with the trams. Melbourne has the longest active tram system in the world! Two things you need to watch for: the rails on the road that can be slippery, but foremost you need to stop behind the tram when it stops to unload passengers! The minimum age for renting cars in Australia is essentially 21 years old, but drivers under 25 may have to pay an extra charge. Check with the car rental agency before you set your heart on a particular model -- if you're under 25, you may not be able, or may have to pay extra, to rent vans (may be called 8 seaters or 12 seaters), for instance. A credit card and a valid driver licence. If your local licence is not in English an international driver licence would be highly recommended. The large car rental companies like Hertz, Avis and Europcar are usually offering a very good quality of service. My favourite car rental company is Avis, I have been renting cars with them for more than 10 years all over the world and I have always been happy with their services. The pick up and return are very fast and without hassle. Nowadays, it is so easy to book a car with Internet. My advice: try different companies online and see which one gives you the best price. The better known companies for campervan hire in Melbourne are Maui, Britz, KEA and Apollo. I tried Apollo before and was quite happy with their products and customer services. It exists some websites like vroomvroomvroom.com.au which can compare car rental companies for you. How To Find A Cheap Rental Car? The car rental company will usually charge you Airport taxes and surcharges for a pick up at the airport. I know it is so convenient to pick up your car at the airport but sometime it is cheaper to grab a taxi and go to the nearest agency to pick up your rental car. You will skip the queue too. I saved once more than $200 on a 7 days campervan hire with the special entertainment members' offer. For more information on the Entertainment Book.